There has been an alarming increase of radicalization in political life. Societies are divided and formerly reliable political structures and alliances are being disregarded and may perhaps dissolve as fundamental values are being increasingly ignored. Nationalist and protectionist tendencies only increase our current global problems. This must be countered! We need a united Europe today more than ever. At stake is nothing less than the preservation of an alliance to secure peace and to guarantee individual freedom, justice and legal security. Only together is the influence great enough to master global challenges and to help shape the changing world order. 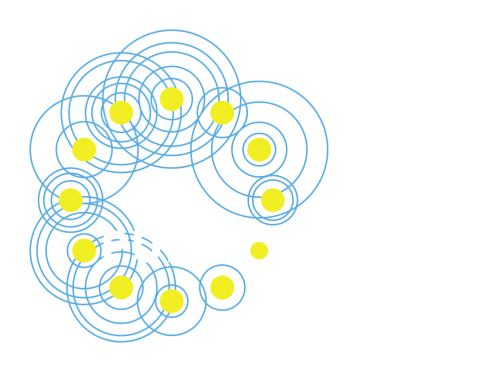 Pulse of Europe is a movement that pursues no partisan aims, is not linked to any interest group and is nondenominational. Diversity is good thing and the European idea can be realized in a variety of ways. How – should be decided at the ballot boxes. Pulse of Europe is independent and financed exclusively through donations. In particular, we receive no financial support from European and other political institutions or organisations. The preservation and shaping of a united Europe today is more important than ever before. We are convinced that a majority of people believe in the fundamental idea of the European Union and are not prepared to sacrifice it to nationalistic and protectionist tendencies. We confront these destructive voices because we believe in the reformability and the continued development of the European Union. Therefore, let us become louder and more visible! We must all send out positive energy to counteract all these negative tendencies. The European pulse must be felt everywhere! At the center is our future and the question of which world we want to live in. We can actively shape it. Decisions that will set the path for the future are upon us. We Europeans must courageously take our fate into our own hands. Now is the time to get involved and to become active – not against, but for something. It is not the time for protests. It is time to stand up for the foundations of our community of values in a positive sense. Therefore, we want to bring as many people as possible together in as many places as possible. We hope to achieve, through these means, a new European awareness and consciousness that connects people and nations. We meet on sundays at 2 o´clock and for special events in many European cities. In addition to our speakers and the open mic, we want to send a positive signal for Europe. Become active and join a Pulse of Europe group near you – or start your own! We hope that many more places will be added soon!